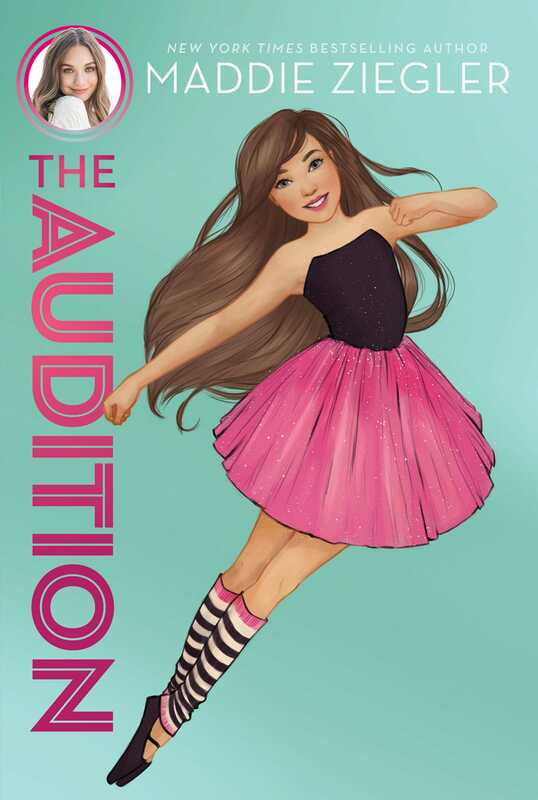 Bunheads meets The Kicks in this first novel in a brand-new middle grade trilogy from New York Times bestselling author, dancer, model, and actress Maddie Ziegler! Twelve-year-old Harper has been dancing practically since she could walk. She loves her dance studio and team, and just won her first ever top junior solo in a regional competition. But right before the school year starts, Harper’s parents drop a bombshell—the family has to relocate from their cozy town in Connecticut to sunny Florida for their jobs. That means goodbye to her friends, dance team, trips to see shows in NYC—and did she mention dance team? When she arrives at her new dance school and new team, it feels like everyone has better feet, quicker turns and faster taps than Harper. And it doesn’t help that a group of girls, who nicknamed themselves The Bunheads, wonder how the heck she made the team if she can’t even do a simple turn sequence in front of the class. Thankfully, Harper befriends Lily, a fellow newbie in the studio who is just as eager to make her mark and find a friendly face. With a big competition coming up for the dance team, Harper is determined to show everyone—especially those Bunheads—what she’s made of. And when a very badly timed injury threatens all of the work they have done, The Bunheads, Lily, and Harper must learn to truly work together to give them their best shot at the top spot! I’m standing just offstage, waiting for my big moment.I know my mom and dance teacher are in the audience, holding their breath in anticipation. This will be the most challenging dance I’ve ever performed—not only that but the most challenging dance anyone at DanceStarz Academy has ever performed. There’s a lot of pressure on me. My costume is amazing—beautifully detailed with thousands of sparkling rhinestones—my makeup is flawless, and my headpiece is sewn in tightly but not so tightly it will give me a screaming headache later. “You can do it, Harper! Love you, Harper!” My new teammates are encouraging, but I know they’re questioning how this will go. This routine is nearly impossible! How could any twelve-year-old ever possibly pull this off? My adrenaline is racing. I walk onto the stage, my toes pointed, my head held high. I get into my opening pose and the music begins. Five . . . six . . . seven . . . eight! And I dance! I’m in the zone as I leap and turn and flip and practically fly. The crowd is gasping. I’m nailing it! And I go into my grand finale: my new signature turn series. I do an insane number of tuck jumps and pirouettes. Twirling, twirling, twirling . . . The crowd is going wild! The audience is chanting: “Harper! Harper!” My mother’s voice in particular stands out from the crowd. I opened my eyes and snapped out of my daydream. “You’re twirling your hair,” Mom said quietly. Oops. I was spacing out. I let go of the piece of hair I was twisting from my ponytail. I wasn’t onstage at a competition, amazing the audience. I wasn’t even on a competition team—yet. I was sitting in a new chair, in a new dance studio, waiting to audition for a totally new competition team. My hand flew to the top of my head to smooth any wispies that might have escaped my tight ponytail. I wanted this audition to go perfectly, and that included the details that could distract the judges, like flyaway hair. “Harper, are you nervous?” Hailey asked. Um . . . YES?!! I was about to audition for a new dance studio. I’d be placed in classes (what if I choked and they stuck me in beginner classes with teeny five-year-olds in tutus?) and I’d find out if I could be on a competition team. So, basically my entire life. Okay, maybe that sounded overly dramatic. But dancing was my life. The dance studio had been my second home since I was two years old. My mom always said that when I was really little, I would dress up like a fairy princess or a butterfly and jump and twirl around and break things, so she signed me up for a little-kid ballet class to get rid of all that energy. I’d been at that studio ever since. I took every class they offered: ballet, jazz, tap, lyrical, contemporary. I loved lyrical and contemporary the most, felt confident with my technique in ballet classes, and did tumbling and hip-hop for fun and to help with my routines. I joined the precompetitive team when I was six and then made the junior competition team. Last year, I started getting solos—and winning with them. My BFFs were on the team with me, and we practiced together almost every day after school. Don’t get me wrong—I liked doing other things besides dancing: drawing, painting, baking brownies, hanging out with my friends, and watching funny YouTube videos (and videos of dancers like Travis Wall and Maddie Ziegler). But the dance floor was my happy place. A few weeks ago, Dad got a new job in Florida and we had to move pretty quickly. I cried for a week when Mom and Dad told me; Hailey cried for a week too; even my Mom cried when we packed up our stuff. I definitely didn’t want to leave. Eventually, Hailey and Mom said they were up for the adventure of it, but me? I didn’t want to say good-bye to my friends and my old life. I didn’t want to say good-bye to my old dance studio. Or hello to a new studio. And new friends. At least, I hoped I’d have a new dance studio. There was a chance they wouldn’t even take me on a competition team. When I told my dance teacher back in Connecticut I was moving, she told me that dance was a huge part of Florida culture. That sounded great! Then she told me that Florida had a highly competitive dance community. HIGHLY competitive. Eep. So yeah. I was nervous about this audition at DanceStarz. “Harperfish.” Hailey sucked in her cheeks to make a fish face at me. She cracked herself up. “Not helpful, Mom.” I raised an eyebrow at her. I knew my mom got nervous for me too. I did appreciate my mom. Not only did she drive me to the studio practically every day, she had to do things like hot-glue thousands of rhinestones on competition costumes at the last minute and sew my hair into bizarre headpieces with feathers or things while I yelped in pain. “Yes!” Remember how I said I appreciate my dance mom? I also appreciate having her leave—so I can get into my head and into the dance zone, I mean.